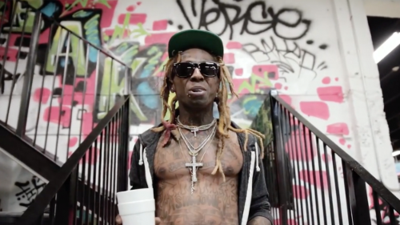 It has been awhile since Lil Wayne has released a new "Tha Carter" album. Well, with the Birdman / Lil Wayne beef over and done with, Weezy had posted today (September 25, 2018) that he will be making an announcement at 5pm EST. Well, 5pm has arrived and Lil Wayne posted a link from his Twitter account to his website with a countdown. The countdown shows that we're only days away from the album, which has the original album art by the way that was revealed in 2014. The album was supposed to be originally released on May 5, 2014 but Wayne's manager Cortez Bryant had announced that it is going to be delayed. Lil Wayne announced in a YouTube video that "Tha Carter V" will be released on Tunechi's birthday, which is September 27th. Who else is excited?